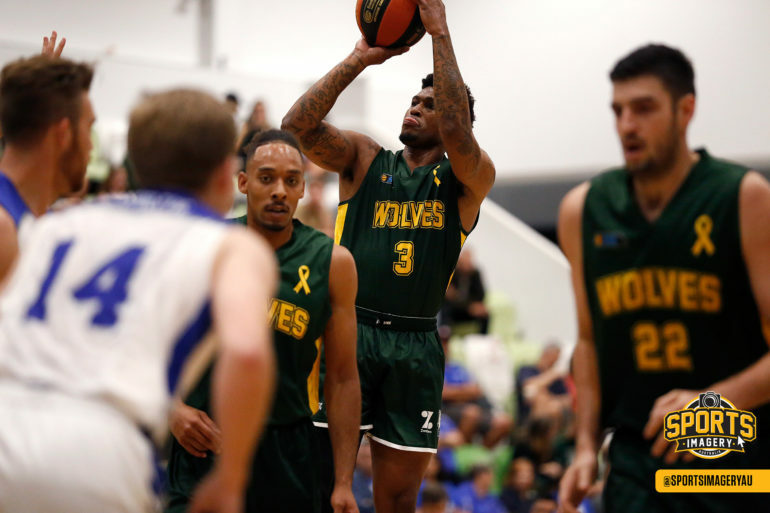 THE Joondalup Wolves responded to their first defeat of the 2019 Men’s SBL season putting in a strong showing to beat the Kalamunda Eastern Suns 102-79 on Sunday on the back of a 31-point first half from Earnest Ross. 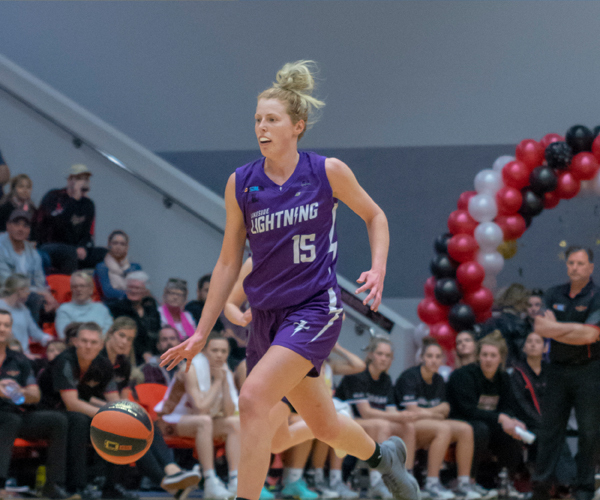 The Wolves opened their 2019 season winning their opening five matches by an average of 19.2 points, but they suffered their first defeat of the campaign at the hands of the Perry Lakes Hawks on Saturday night at HBF Arena by eight points. Meanwhile, Kalamunda had lost to Cockburn by 10 points on Friday night meaning both were determined to bounce back on Sunday afternoon at Ray Owen Sports Centre. Earnest Ross set the tone for the Wolfpack with a monstrous first half of 31 points made up of him hitting seven triples. He went through a patch of being unstoppable and the Wolves led by 14 at half-time. 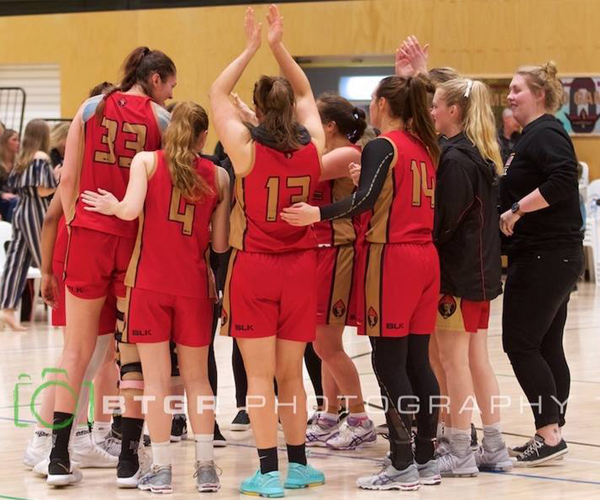 While Ross only added two points in the second half, Joondalup still managed to outscore Kalamunda 47 points to 38 to end up winning by 23 to improve to 6-1 on the season while the Eastern Suns are 3-5. While it was a high-quality and tight game they lost on Saturday night to Perry Lakes, it was still the first loss of the season the Wolves had to bounce back from with a short turnaround to taking on the Suns at Kalamunda on Sunday afternoon. The Eastern Suns might have lost at Cockburn on Friday night, but they’ve shown they are capable of some impressive performances already this season under new coach Mark Utley so the Wolves couldn’t afford to take them lightly. The Wolves started well leading 10-4 with Ben Ironmonger and Ridell Camidge both hitting triples in the opening three minutes before the energetic Ryan Blanchett responded in kind for the Eastern Suns. When Josh Braun nailed a three as well and Logan Viskovich made a bucket, the Suns were back on equal footing and then took the lead with a triple from Carl Aylett. Then it was time for Ross to take over the game. 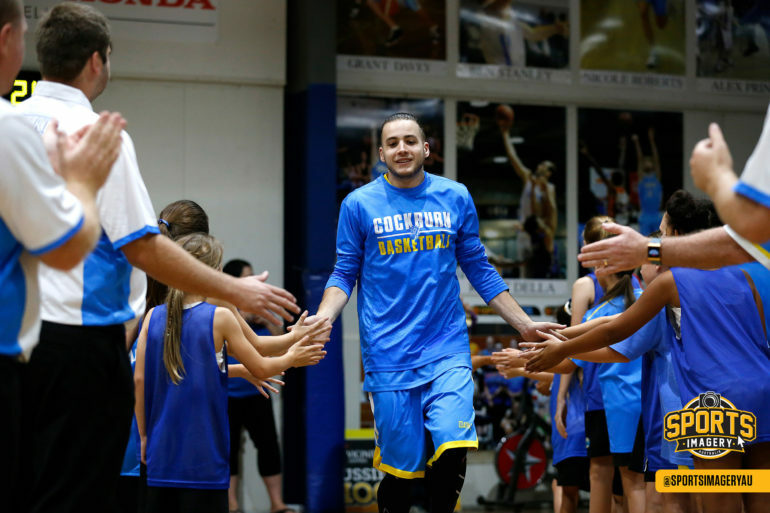 It started with a free-throw following a tech foul before he nailed his first shot from downtown for the afternoon. Ross knocked down another from beyond the arc and then also got inside to make another bucket soon after. While Viskovich did hit a three for Kalamunda and Corey Easley scored inside, the Wolfpack led 25-22 at quarter-time when Lachlan Strelein scored just before the buzzer. Louis Timms locked scores up again when he knocked one down from downtown to start the second period before Wolves captain Seb Salinas responded in kind. 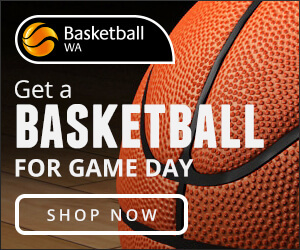 When Timms hit another three, the Eastern Suns were leading by two and had build some good momentum before Ross took over the contest beginning with a pair of free-throws to tie scores up. On the next trip down the floor, he nailed another three and then on the very next possession, hit another and he was heating up like few players in the competition can. Another possession and another Ross three was the result for the Wolves in a stunning patch of shooting. Next possession and he fired again and connected from downtown before he finally missed a heat checker on the next trip down the floor. Instead, Camidge nailed one from beyond the arc for the Wolves to put them up 11 before Ross got back in on the action nailing yet another bomb. He then added three free-throws after being fouled by Viskovich to give him 31 first half points with the Wolves leading 55-41 at the break. While it wasn’t Ross doing the damage, the Wolfpack maintained control of the contest throughout the second half leading by as much as 26 points before winning by 23. The Wolves did have 26 points in the paint and 49 rebounds, including 13 at the offensive end, but it was their three-point shooting that proved the difference. From 76 field goals, 48 of them came from long-range with the Wolfpack hitting 19 of them at 39 per cent on top of 28 assists and just nine turnovers. Ross ended the afternoon with 33 points, eight rebounds, two assists and two steals for Joondalup on 10/16 shooting from the floor, 7/11 from downtown and 6/6 from the charity stripe. Reece Maxwell added 13 points, four rebounds and two assists for the Wolves with Ridell Camidge contributing 11 points and three assists, Kevin Davis 10 points and 11 rebounds, Seb Salinas eight points, three boards and two assists, and Joel Offereins seven points and three rebounds. Ben Ironmonger also had five points and seven assists with Trian Iliadis having a third quarter purple patch for five points, three rebounds and a steal. Wolves coach Ben Ettridge was happy with most of what his team did on Saturday night despite the loss to Perry Lakes and was pleased with the way they responded just over 12 hours later to get back on the winner’s list against the Suns. “The process stays exactly the same. The boys get their reporting form, they get whatever it is we need to do for the next game and the scouting report goes out and away we go,” Ettridge said. “If your highs are too high and lows are too low then your attitude can change from game to game depending on results, but you saw today that this was a consistent effort and we might have even played not quite as well as last night with 32 good minutes as opposed to 36, but credit to the boys for backing up with a few sore bodies. “I thought we played with a bit of hunger after a tough loss last night. It’s easy to come out and underestimate your opponent but the boys didn’t do that. The Suns showed enough good signs to move forward with still collecting 39 rebounds while having 20 assists and 12 turnovers while shooting 38 per cent from the field and 42 per cent from three-point territory. 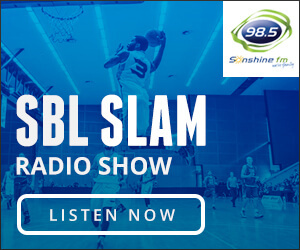 Josh Braun once again top-scored for the Eastern Suns with 24 points and nine rebounds but he only got 14 shots for the game, making seven and hitting 4/8 from downtown and 6/6 from the foul line. 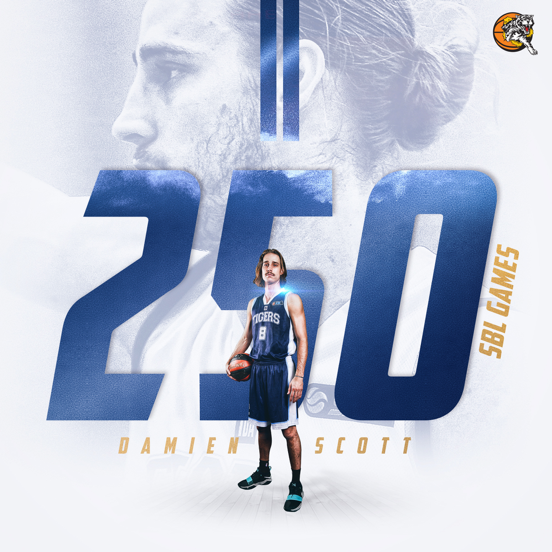 Louis Timms wasn’t as efficient as he could be shooting 8/23 but had 21 points, three rebounds and two assists with Ryan Blanchett adding 12 points, eight rebounds and four assists for Kalamunda, and Logan Viskovich nine points and five boards.